Villa Bellamar is a gated Mediterranean Styled Villa located at the end of a cul-de-sac overlooking and close enough to the Caribbean Sea to hear the surf. 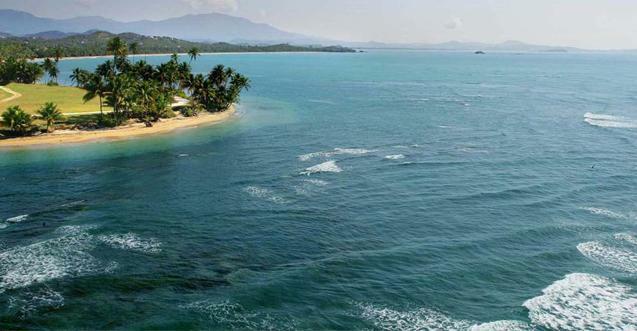 This area is private, quiet and separate from the more developed parts of Palmas del Mar. 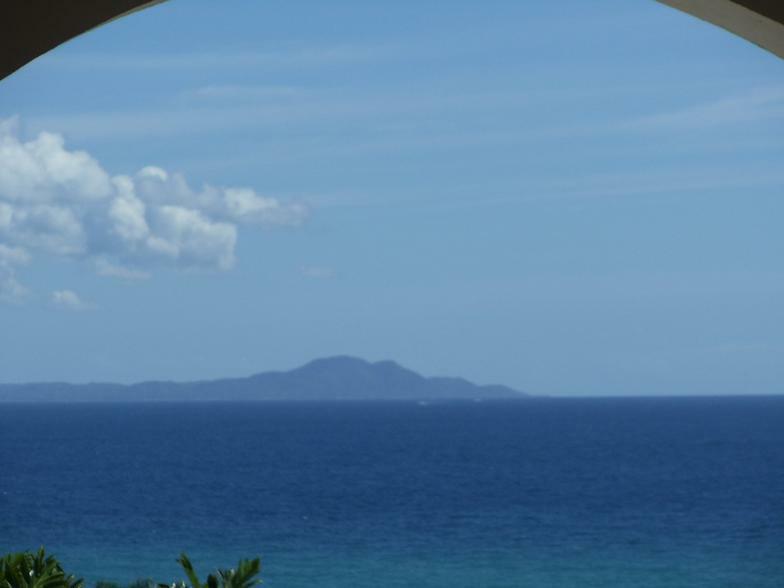 View of ocean and the island of Vieques from pool area and most rooms. Large 3200 sq. ft. pool and spa area with outdoor kitchen and pavilion. Lush estate with bananas, avocado, cashew, breadfruit and mango trees. Watch the moon rise over the ocean. There is a beautiful cove and private beach 500 feet from the villa. Palmas del Mar is a beachfront resort community with 16 restaurants, casino, grocery, marina, shopping, golf, tennis and horse back riding all within this gated secure complex. Golf cart rentals with asphalt golf cart paths to beach and all the community amenities. Our vacation home in Puerto Rico is also near El Yunque National Forest. The only rain forest in the US National Forest system with waterfalls, rivers, hiking trails and ocean views. Our Puerto Rico Villa is located 35 miles from San Juan and the Luis Munoz Marin International airport by expressway. A villa vacation rental at our Palmas Del Mar Villa Humacao can be an unforgettable family experience. Since 1998 we have offered Caribbean villa rentals. Other nearby activities you might enjoy while in Puerto Rico include visiting Old San Juan, taking a ferry or charter boat to the island of Culebra or Vieques, charter boat fishing, zip lining, hang gliding, snorkeling or kayaking at one of the bioluminescent bays. We can help arrange any activity for your vacation. Call now to reserve our Puerto Rico Villa!